Based out of Wilmington, NC, Bender has consistently produced music that speaks about life and relationships. 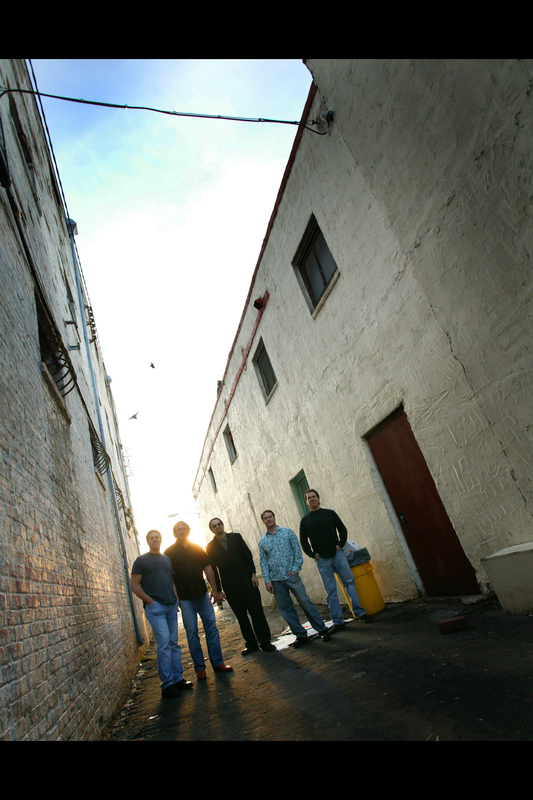 Bender has been together for over 10 years with the band's first CD recorded in San Francisco, CA. Content for demo use only. Joe Bobbitt certainly looks like a rock star with his pointy-toed alligator skin boots and curly mop top. Bobbitt moved to Wilmington from New Jersey in 1986. He always had a passion for music, which was really brought to life after he met Bill Buchanan. Bobbitt said Buchanan was playing with Buddy Bryan in a trio called Glass Elephant. Buchanan, Bryan and Bobbitt occasionally jammed together. After the trio's bass player and singer left the group, Buchanan and Bryan asked Bobbitt if he would join. Bobbitt said he could play bass or sing, but he said he couldn't do both. Bobbitt became the new singer and the group added a bassist, Chris Gates, to the new group. Initially, the band only played cover songs, but Bobbitt approached Buchanan with some of his own music, and Buchanan loved it. Before they decided to bring the rest of the band in on the original works, Buchanan and Bobbitt played a few shows acoustically together to see the crowd response. The music was an instant hit, and Bender was born. Buchanan was friends with Huey Lewis and decided to give him the "Nashville handshake," which is when a band gives a producer or an important contact their demo CD. Lewis thought it was great but recommended a producer, "because bands make music and producers make albums", Huey recommended Scott Matthews, who has worked with artists from The Beach Boys to Keith Richards. Scott flew to Wilmington within a few weeks to decide on the potential of Bender. The band quickly acquired a keyboard and harp player, Travis Dent, who was playing in a band named Swingshift. Dent was available after Swingshift's lead singer was called up to perform on American Idol. Buchanan's beach house was quickly made into a studio with mattresses against the walls and the whole house rearranged for a full band and a potential opportunity from a world renown producer. After a hectic week of late nights, minimal sleep, and song rearrangements by Matthews, Matthews went back to California. Huey called Buchanan to announce that Matthews thought the band had potential for a hit. The next day, Matthews asked the band to come out to Sausalito, CA to record in his studio, TikiTown Studios, on the San Francisco Bay. The band traveled to Sausalito, CA to spend a month in the studio and the first Bender CD came to life. It was an unbelievable month of creating music from a band that had barely been together for 6 months. 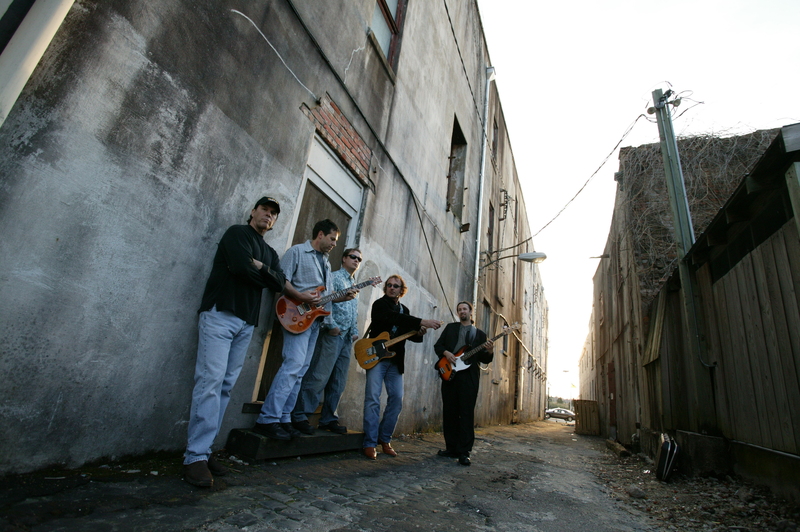 After the CD was completed, Matthews introduced the band to Gail Roberts, Publicist for Bruce Springston, and the band hosted a sold out CD release party at Marz Theatre in Wilmington. Bender toured in the southeast under the management of Bruce Henderson with great success. However, Bobbitt desired to be close to his father, who was battling serious health problems, and moved to Florida. Fortunately, the bond of the band has overcome distance and the band continues to play on short notice for special engagements and fund raisers. Bobbitt and Buchanan collaborate and write songs together and have enough material for two CDs. Bobbitt describes the Bender sound as "roadhouse with feelings." He said, "A lot of the songs are about relationships," but he adds they are usually about different parts of relationships, whether it be just meeting someone or a recent breakup. Bobbitt said it's relatable because that is what life is really about, relationships - good and bad, everyone can relate to that and appreciate the raw, and sometimes angry, emotions conveyed thru the songs. Bobbitt said, "We're normal guys ... we've got passion." He said that after shows, a lot of people come up and tell them the band's love for what they do really comes out during a performance. For Bobbitt, his favorite part about performing is "seeing the fruits of your labor ... really come together." Bobbitt's favorite song to perform is "Rise Up," which he says is "about getting knocked down and picking yourself back up again." He said people can relate to that song, which is the ultimate goal of their music. Bender is opening for The Wallflowers at The Throne Theater (formally Ziggy's) on Sept. 4th at 8 p.m. The full album and more new songs are available on the Web site, http://www.benderbuzz.com.